AngoSat 1 is a Russian-built satellite set to become the first communications satellite operated by the African nation of Angola, targeting a late 2017 launch atop a Russian-Ukrainian Zenit rocket to enter service in 2018 and deliver television broadcasting and telecommunications services under operation by AngoSat. The 1,647-Kilogram AngoSat 1 satellite is based on the Universal Satellite Platform (USO) manufactured by RSC Energia with a hybrid communications payload built by Airbus Defence and Space. Ideally hoped to operate for 15 to 18 years, AngoSat 1 will be stationed at 14 degrees East in Geostationary Orbit to deliver various telecommunications services via 16 physical C-Band and 6 Ku-Band transponders (total bandwidth 2,160 MHz). 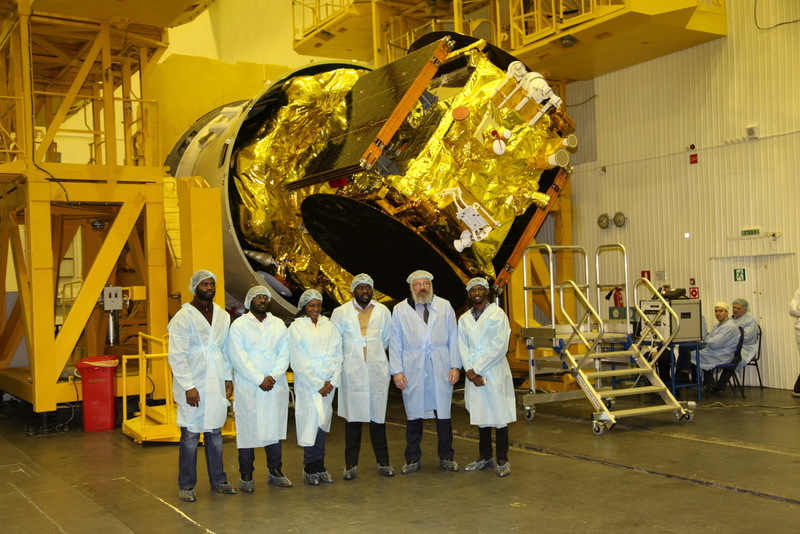 The AngoSat 1 project looks back at an extraordinary long road to launch for a communications satellite, starting out in 2009 when the Russian and Angolan parties involved in the project signed the initial contracts. It took three years to work out the project’s financing through a loan from JSC Rosoboronexport before construction of the satellite began in late 2012. 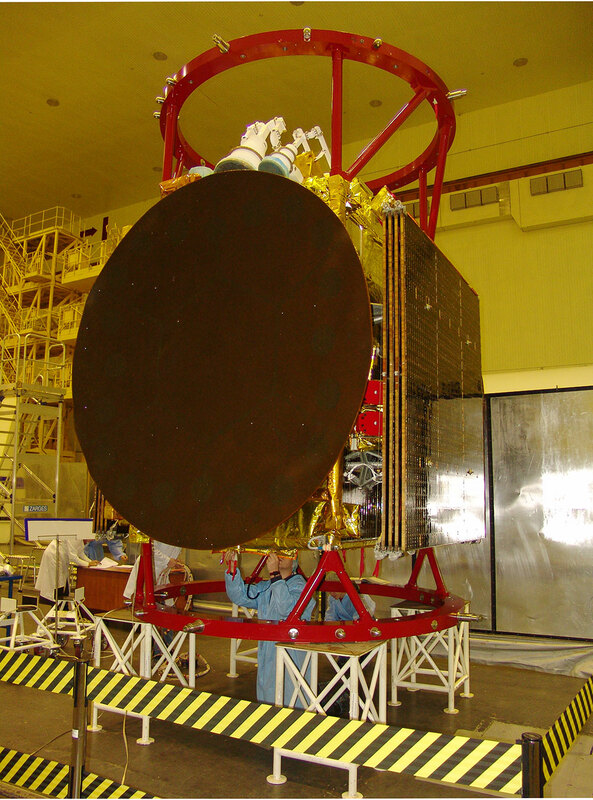 AngoSat 1 was initially booked for a shared ride with the similarly-sized Energia 100 satellite atop a Sea Launch Zenit-3SL rocket, however, these plans fell through as tensions between Russia and the Ukraine rose over the annexation of Crimea and the Sea Launch business venture dissolved for a number of reasons. The satellite was then evaluated as a potential payload for the second flight of the Angara A5 heavy-lift rocket; however, delays within that program prompted the decision to move it back to a land-based Zenit launch vehicle as Russia and the Ukraine began working toward a resurrection of the venerable Zenit booster – hoping to see commercial business through its new operator S7 Airlines that acquired the leftover Sea Launch infrastructure and took steps to re-start Zenit rocket and engine production in the Ukraine and Russia, a process expected to take at least a year and a half before all required approvals can be obtained. 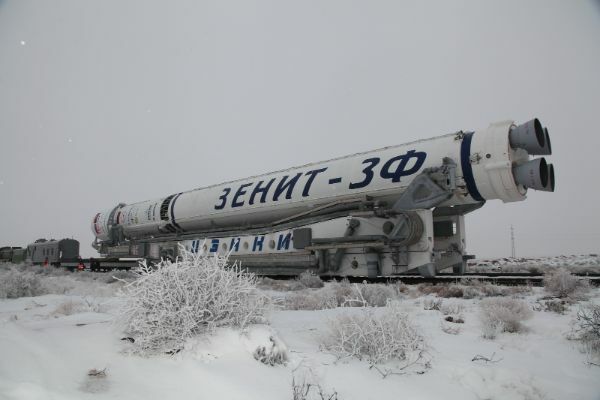 AngoSat employs the second of up to three Zenit rockets that had been in extended storage at the Baikonur Cosmodrome after they fell victim to the Russian-Ukrainian conflict over Crimea. The first of the lot launched the Elektro-L No. 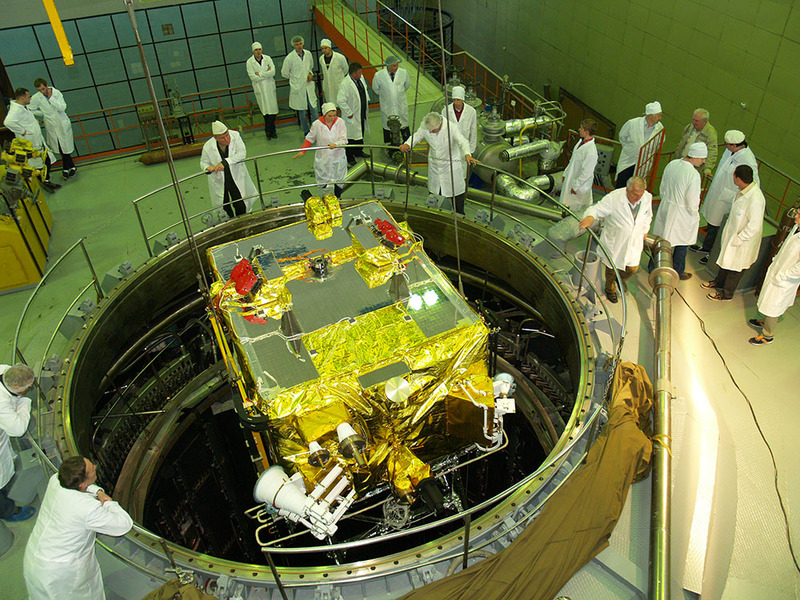 2 weather satellite in 2015 and a deal was made in 2016 to re-purpose the second Zenit for AngoSat after its original passenger, the Spektr-RG radio telescope, switched to Proton after suffering another launch delay. Because the Zenit had already overstayed its production warranty, a Ukrainian team from manufacturer Yuzhnoye had to perform refurbishment on perishable components. However, permissions for the Ukrainian engineering team to travel to Kazakhstan were held up first by Moscow and then by Kiev, resulting in the delay of the launch from July to December 2017 with another three-week delay suffered due to technical problems in processing the Fregat-SB upper stage. The elements of the AngoSat 1 mission finally started to come together in April 2017 when flight planning and mission simulations began to sort out the rocket’s ascent profile. AngoSat concluded pre-flight vacuum testing in August and, around the same time, teams finally arrived in Baikonur to pull the Zenit out of storage. AngoSat departed for Baikonur on November 15 and entered final pre-launch processing at the launch site. RSC Energia’s Universal Satellite Platform USP, also known as the Yamal Platform and under the name Viktoria, has been on the market since the 1990s as a flexible satellite bus for application for various payloads in all orbital regimes from Low Earth Orbit to Geostationary Orbit. The three-axis stabilized satellite platform can host payloads of up to 300 Kilograms in its GEO configuration and one metric ton when operating from Low Earth Orbit. USP finds its beginnings in the commercial space business, first flying in September 1999 when the Yamal-101 and 102 communications satellites, both using USP, launched together on a Proton-K booster followed by another dual-USP launch in November 2003 atop Proton. The BelKa 1 Earth Observation Satellite built for Belarus also used the Viktoria platform but was lost in the failure of a Dnepr rocket in 2003 and four additional USP-based Yamal communications craft were canceled. 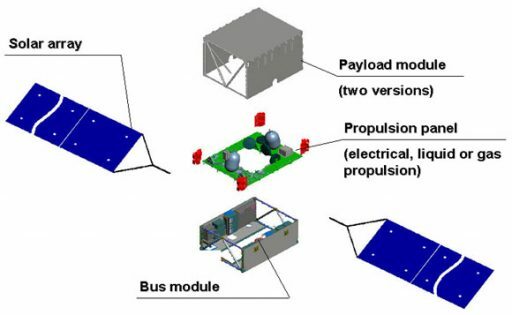 There are strong indications that the EKS Tundra missile warning satellites, two of which launched in 2015 and 2017, also use the USP satellite bus. As a modern-day satellite platform, USP does not use any pressurized compartments which have been used by previous Russian satellite systems to provide easy conditioning for satellite electronics. Composite materials and aluminum alloys employed for the satellite structure create a lightweight bus capable of hosting sizeable payloads and the satellite’s power and propulsion systems use a modular architecture to be sized according to varying mission requirements. AngoSat has two four-panel solar arrays delivering a power of up to 7 Kilowatts, stored in Nickel-Hydrogen batteries and the craft’s Electrical Power System delivers regulated power buses at 28, 50 and 100 Volts. USP requires direct injection into the near-GEO orbital regime as the satellite lacks a chemical propulsion system for large orbital adjustments and instead uses electric propulsion to support a long operational life with extended stationkeeping in Geostationary Orbit. AngoSat 1 hosts eight SPT-70 Stationary Plasma Thrusters built by EDB Fakel. 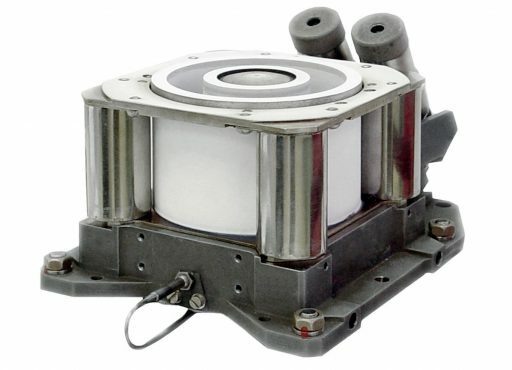 Each SPT-70 unit weighs 2 Kilograms and measures 17 x 10 x 9 centimeters in size, using Xenon propellant and requiring 660 Watts of power to ionize Xenon atoms and accelerate them in a strong electric field to create thrust according to Newton’s third law. SPT-70 delivers a nominal thrust of 40 Millinewtons at a specific impulse of 1470 seconds and is rated for an operational life of 3100 hours, suitable for stationkeeping over extended periods.